ABS plastic insert with molded ribs that fill in the sag of soft wheelchair upholstery. 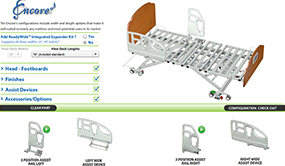 Creates a flat, rigid foundation for improved patient comfort and positioning. One size fits all. Included standard with all Isch-Dish cushions, and available as an accessory to all other cushions. Fits into sleeve sewn into all covers on cushions with "-96" suffix.